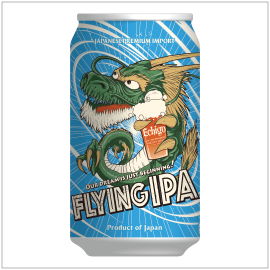 This IPA is brewed in Japan, featuring a crisp bitterness and refreshing, citrus aroma. Well-balanced with a light body that pairs exceptionally with Japanese food. ＊ Canned beers have unparalleled quality retention, and in recent years their use in bars and restaurants has been increasing.